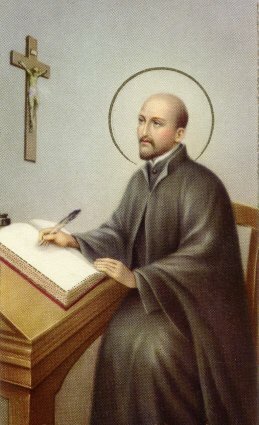 Today’s first reading from the prophet Jeremiah (18: 1-6) might have been written for Ignatius, as well as for each of us. It is the story of God’s instruction to Jeremiah to go to the potter’s house. As Jeremiah did so and watched the potter form and reform the clay, God says to/through him, “Can I not do to you, house of Israel, as this potter has done? Indeed, like clay in the hand of the potter, so are you in my hand.” I have great admiration for people who work with clay, having once tried it myself with less than stellar result. Keeping the clay moist, turning the wheel endlessly while forming the object, feeling everything to be just right…not as easy as it looks to the watcher. And then there is the firing in the kiln. Cracks often ruin the piece so the potter must begin again. That reflection makes me grateful to God that he never gave up when I got dry or when my cracks appeared. And being the clay is a daunting process as well. Trying to remain malleable in times of great turmoil (having a leg shattered by a cannonball!) or the small times of distress, willing to go through the fire of testing to come out well-formed and whole…is the work of a lifetime. The key is in surrendering to the hand of the potter and trusting in the skill that the potter possesses for our benefit. Ah, but the beauty of a well-tooled vessel! Who can ignore the invitation to become that? On Sunday I spoke of the “pearl of great price” as wisdom because the accompanying reading from the Hebrew Scriptures was about Solomon’s wise request for the gift of an understanding heart. This morning’s gospel (MT 13: 44-46) repeats the same section of the gospel with the 2 short parables about the pearl. As I read it, two chants from our wisdom work rose up in me that focus on the search for that pearl. Both are apt, I think, for what needs to take place if we are to find true wisdom in our life. 2. 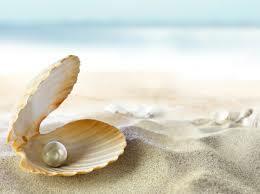 To find the pearl beyond compare, O dig right here, deep in your soul. Wisdom does not come without effort, nor from superficial seeing. Anyone who has ever spent any time gardening knows that sometimes going deep enough for the needs of certain plants is not an easy task. Encountering roots and stones and different kinds of soil can be challenging to the goal but if one perseveres, the beauty that eventually manifests – and sometimes “eventually” takes a fair amount of waiting along with the work – is worth the effort. Constant deepening in prayer and consciousness is the way to wisdom. This morning’s gospel (LK 10: 38-42) about Martha and Mary, friends of Jesus and sisters to Lazarus, is very personal to me. I ask that you indulge me as I tell you the story. Today I will assess both the Martha and the Mary in me, cognizant that there is always a “to do” list in my life, but as someone recently suggested, there should also be a “to be” list in my days. In that way I will honor God and my mother in the way only Sister Lois Ann can be and do. Any baker knows the importance of yeast in the process of baking most breads. That little package does wonders in the rising process. 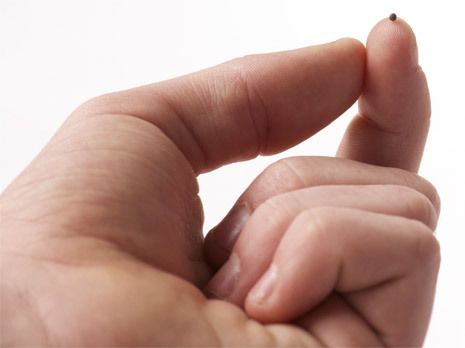 Just so, I have seen a lot of small seeds in my life but I don’t think I’ve ever encountered a mustard seed. I’m hearing it’s the smallest of all seeds (MT 13:31-35)… I have, however, watched trees on our property double in size in what seems just a few years – notably lately a large oak whose crop of acorns has just begun to appear. You know where this is going; it’s those two parables that are easier than most to understand. Jesus compares the Kingdom of Heaven to mustard seeds and yeast – small at the start but burgeoning into a huge tree or permeating a whole batch of bread as the necessary growth agent. We could interpret these parables as giving us things to watch as they grow – just as the Kingdom of Heaven is growing in the world. But my sense is that Jesus means for his listeners to take what he says more directly. What if we, his hearers today, are the host for the change agents, providing the fertile soil for the seed of the kingdom to grow in us? What if we are the dough awaiting the yeast that we might be the ones to make possible the rising and the spread of the Kingdom here and now? Or more to the point, what if we are that seed or that yeast, having received the impulse of the Holy Spirit to use our energy for the growing and the spreading? We may not be the tree, visible to all by its spreading branches and great size. We may not be the beautiful and delicious bread from the oven giving joy to a hungry crowd. Unseen, unheard, unnoticed we may be doing the work that will advance the Kingdom which Jesus said is within us until it bursts forth to the glory of God and the benefit of the world. That is our call. And that is enough. Because you have asked for this – not for a long life for yourself, nor for riches, nor for the life of your enemies, but for understanding so that you may know what is right – I do as you requested. I give you a heart so wise and understanding that there has never been anyone like you up to now, and after you there will come no one to equal you. I invite your participation in whatever way is possible (perhaps just this blog) to participate in the offerings of the Sophia Center for Spirituality whose goal is the deepening of the understanding of the wisdom tradition of Christianity, the pearl of great price. May God grant us all that gift! In today’s gospel parable (MT 13:24-30) an enemy enters a farmer’s field and sows weeds among the wheat. When they appear, the workers want to pull the weeds but the harvest master advises that they be left to grow alongside the wheat, lest the wheat be pulled up with the weeds. The distinction and separation could wait until harvest time. Once again we have a lesson about judgment. There is the potential in all of us to become the best of what God has created us to be, but sometimes we get sidetracked and it takes awhile for us to get back on the path. A great adage for ourselves and others is “Trust in the slow work of God.” Being in the company of those who are growing straight and tall and beautiful helps those of us who have been stunted – sometimes by standing in their shade and drawing comfort at other times from their light. It is not our duty to truncate the lives of the wayward ones but rather to act in love toward them and leave to God, the Harvest Master, the ultimate decision about their fate. Today is the feast of the Apostle James, one of the sons of Zebedee – chosen by Jesus as one of the Twelve. Today’s gospel is one of those stories that can make us still feel good about ourselves when the ways of the world seep into our good intentions for magnanimous behavior. It’s the story (MT 20:20-28) of the mother of James and John coming to Jesus to ask the best places for her sons in the kingdom. “Command that these two sons of mine,” she says, “sit, one at your right and the other at your left.” (In one of the gospels it was the sons themselves who asked for that privilege!) Pretty arrogant behavior and certainly disappointing to Jesus, I would imagine, who was trying to teach them about service and humility in love. Moreover, Matthew notes that the other ten were indignant at hearing the request. (Well, let’s face it, wouldn’t we be a bit put out?) Jesus says it isn’t up to him to decide (speaking of humility…) Then he gives a short sermon about the way we need to act in order to be true followers of the way of Christ in the world – a good reflection for this day. You know that the rulers of the Gentiles lord it over them, and the great ones make their authority over them felt. But it shall not be so among you. Rather, whoever wishes to be great among you shall be your servant; whoever wishes to be first among you shall be your slave. Just so, the Son of Man did not come to be served but to serve and give his life as a ransom for many. I found today’s psalm response (36: 7-10) a comfort in the face of all that is happening now in the world. I offer my favorite translation as a prayer for today so the remembrance will keep us focused on light and love. Your love for all, a priceless treasure, a shelter safe, covers us with wings. We live in this your home, called love, and we are fed as at a lavish feast. We drink from your refreshing streams eternal happiness and you. For you, Source of All, are our deep well of life. From you we flow to consciousness and being, and you, so full of light, are light to us, which freely pours itself upon all who know you as a never ending stream of love and grace, your gift to all with open hearts. The word of the Lord came to me thus: Before I formed you in the womb I knew you, before you were born I dedicated you, a prophet to the nations I appointed you. Jeremiah’s response was: Ah, Lord God, I know not how to speak,: I am too young. The next part of the reading is a wonderful confirmation that if God wants you for something, you might as well agree because you will be given all that you need. I find it very comforting as well as challenging, a goad to courage as well as service. Listen to the entire passage with your heart and keep it close when God asks something of you – small or great – as it is guidance for a lifetime – even if we’re not called to be world leaders! Say not, “I am too young.” To whomever I send you, you shall go. Whatever I command you, you shall speak. Have no fear before them, because I am with you to deliver you. Then the Lord extended his hand and touched my mouth, saying: See, I place my words in your mouth! This day I set you over nations and over kingdoms, to root up and to tear down, to destroy and to demolish, to build and to plant. As I turned on my computer this morning, I found this quote in my e-mail (an ad for a program that I was about to delete). Love can make up for a great many things that are missing in your life. But, if you don’t have love, no matter what else you have, it is never enough. Today we celebrate the feast of Saint Mary Magdalene, a woman much maligned in history and the Christian Scriptures. 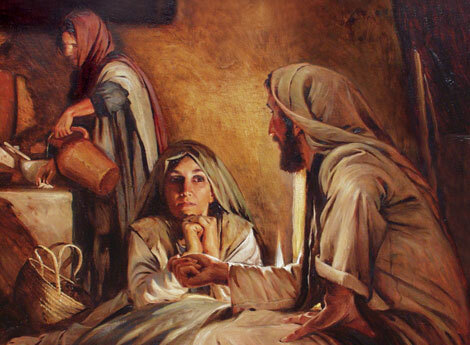 Happily, in the last century, as theologians and Scripture scholars began to examine all the references to “Mary” in the gospels, they found a conflation of what could be a number of women – including the “woman at the well” that was never named! What we have come to understand, because of what is said in the Scriptures, is that Mary was one of the women that stayed through the horrible events of the crucifixion and death of Christ, stayed at his tomb when all the others (except “the other Mary”) were gone, and returned to anoint his body on the third day to find him disappeared. The beautiful story in John’s gospel of the encounter of Mary with the risen Jesus, when she recognized him as he said her name, solidified her role as “apostle to the apostles” because she was the first to see him after the resurrection and Jesus told her to relay the message to the others that he was alive. There are many lessons to learn from the stories and “rehabilitation” of Mary Magdalene’s reputation, the most prominent perhaps being not to judge others but rather to take the time to get all the facts (as much as it is possible) to be sure we have the story right. This morning though – with the above quote as my motivation – I choose the lesson of steadfast love. Mary was – for probably many reasons – devoted to Jesus, as it appears he was devoted to her. She was courageous in that loving, enough to stay with him when the courage of others, even his closest companions, failed. She was willing to give the message of his resurrection to the others, even knowing how inconceivable such news would be. And many did not believe her. I am grateful – for her sake and ours – that she has finally been afforded her rightful place in the Christian story so that love is the center point of our remembrance and gratitude for her example something we celebrate on this, her feast.